We are looking for an experienced and result-driven person to join us. 1. 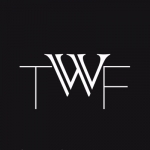 As Internet Marketing Associate at TWF, you will be responsible for setting up, implementing and managing the overall company's digital marketing strategy. 2. Required to take ownership of the following, and work with different teams to maintain a smooth presence online. 4. Measure and track all online activity (paid and organic). Analyze and derive inferences for meeting set ROI and KPIs. 5. Keep innovating for new marketing channels/methods.